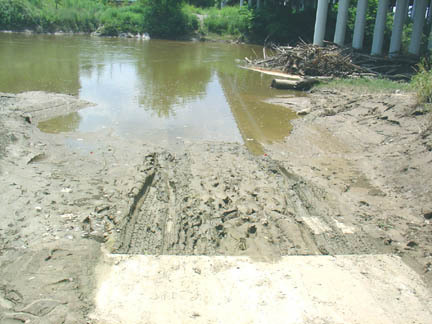 Friends for Our Riverfront: How to Repair a Boat Landing? How to Repair a Boat Landing? Boat landings, like all things, need maintenance and repair. Sloughing off at the toe of a landing is not a problem unique to the Cobblestone Landing. It's happening at the Wolf River landing in Shelby Farms Park, too. Because of the integrity of its original design, the Cobblestone Landing has been in continuous use for more than 150 years with insufficient maintenance. The RDC Masterplan described it as "the perfect form for boat landings given the river's rising and falling tendency." The City has received $13M in Federal and State funds to restore the landing. 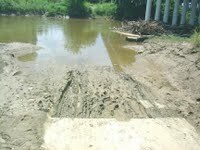 What's the correct way to do it -- the way that will repair, support easy future maintenance, and open the public boat landing up for people to use and enjoy in the future?